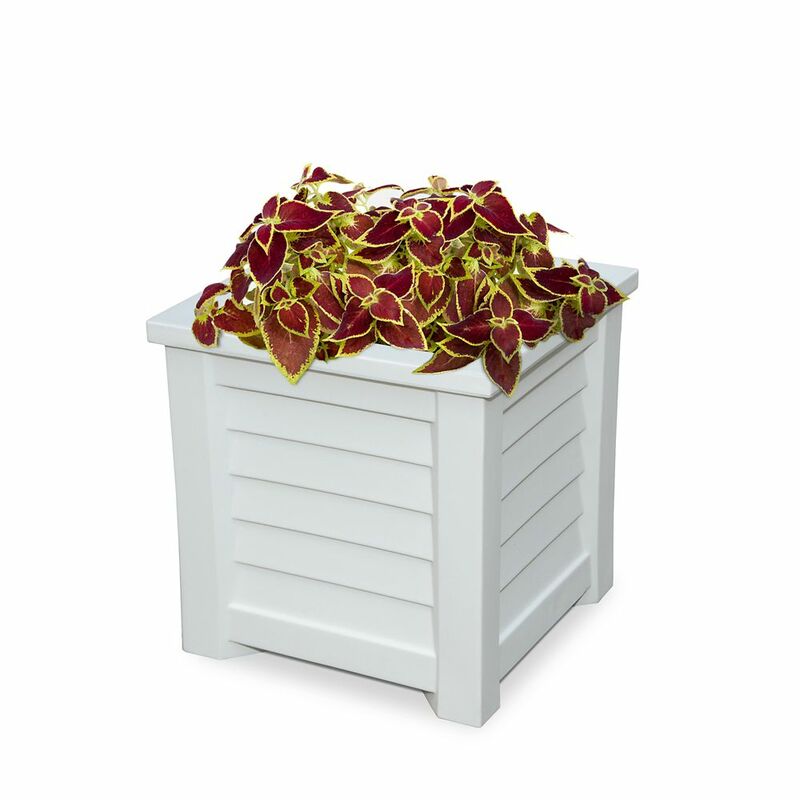 Lakeland 16-inch x 16-inch Planter in White Our Lakeland Planter Has The Look Of Wood Without The Upkeep. Molded From High-Grade Polyethylene, This Planter Offers A Classy Choice For Your Outdoor Decor Needs. Long-Lasting Beauty, Durability And Quality. Built-In Water Reservoir Encourages Healthy Plant Growth By Allowing Plants To Practically Water Themselves.Create A Beautiful Coastal Appeal.